Lecturer at Orot Etzion girls’ school in Giv’at Washington. One of the founders of Bet Neriah – a Zionist Torah Center in Kiryat Malachi. Rabbi of Moshav Zrachiah. Rosh Metivta at the Har Etzion Yeshiva. Rosh Metivta at the Eretz Hemdah program at the rabbinical college in Rome, Italy training Rabbis for the Italian Jewish communities. Dayan at the Rabbinical Beit Din in Rome. Rosh Metivta at the Yeshiva Gevoha in Mitzpe Yericho. Rosh Metivta at the Or Etzion Hesder Yeshiva. Rosh Metivta in Kochav Yaakov. Rosh Metivta at Kochav Eliyahu Yeshiva in Kochav Yaakov. Rosh Metivta at Karnei Shomron Hesder Yeshiva and head of the Research Institute for Jewish law. Rosh Metivta at Nachalat Yitzchak, Yeshiva Gevoha in Tel Aviv. Rosh Metivta at Machon Lev – Jerusalem College of Technology. Rosh Metivta at Kollel Tzur Hamor, Haifa. Dayan in the Beit Din for conversions in Jerusalem and Natanya. Rosh Metivta at the Hesder Yeshiva in Ramat HaGolan. Rosh Metivta at the Beit-El Yeshiva Gevoha. Rosh Kollel at the Modiin Hesder Yeshiva. Rosh Metivta at the Hesder Yeshiva “ Heichal Eliyahu”, Kochav Yaakov. Mentor (Sho’el U’meishiv) at Beit Midrash Re’uta in the Yishuv Carmel. Researcher at “Rabbanei Hayeshuvim” Institution, Kiryat Arba, Chevron. Rosh Metivta at the Alon Moreh Hesder Yeshiva. Rosh Metivta at the Ramat-Gan Yeshiva High School. Rosh Metivta at the Kotel Yeshiva. Rosh Beit Midrash Reishit, Ra’anana. Rosh Metivta at the Yeshiva Gevoha in Eli. Rosh Metivta, Yeshivat Shavei Chevron, Kiryat Arbah. Coordinator of the mentoring project at the Netiv Meir Yeshiva. Rosh Metivta at the Alon Moreh Yeshiva Gevoha. Head of Kollel "Eretz Hemdah" in Ra’anana. Rosh Metivta of the religious pre-army mechina in Katzirin. Educator at the Shuvu school. Instructor at an ulpan for converts. Rosh Metivta at Sha'alvim's Overseas Program, Rosh Metivta at the Torah V'Avoda Yeshiva of Bnei Akiva at "Eretz Hemdah". Rosh Metivta in Mechina kdam tzvait Magen Shaul, Nokdim. Rosh Metivta at the Rishon Le'Tzion Hesder Yeshiva. 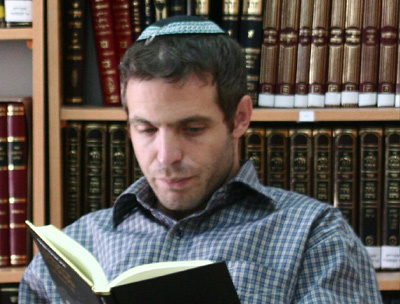 Is a third grade mechanech in Talmud Torah "Etz Chaim" in Ra'anana and director of evening beit midrash in memory of Benji Hillman, May Hashem revenge his blood, in Ra'anana.